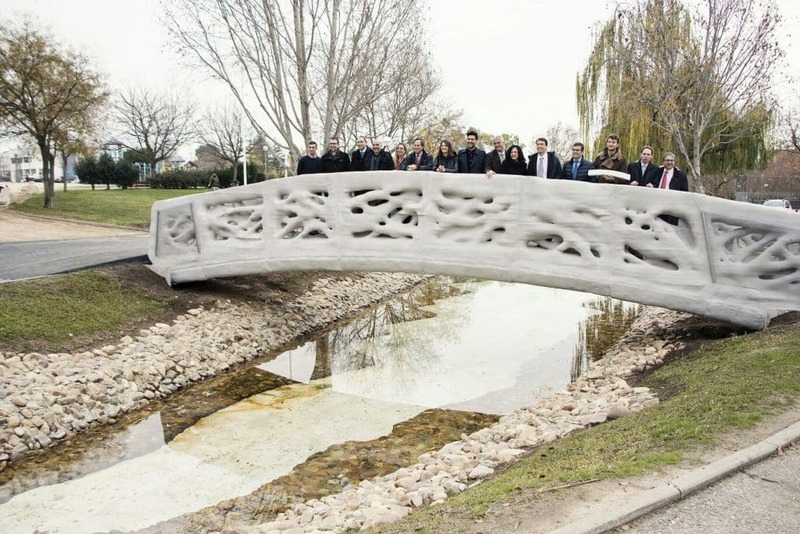 The first pedestrian bridge printed in 3D in the world was inaugurated last December 14 in the urban park of Castilla-La Mancha in Alcobendas, Madrid. 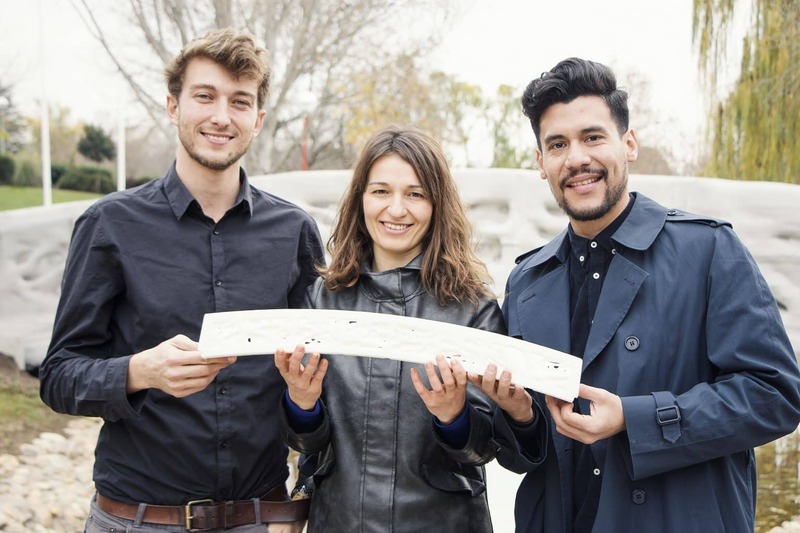 The Institute of Advanced Architecture of Catalonia (IAAC) was in charge of the architectural design of the bridge, which has a total length of 12 meters and a width of 1.75 meters and is printed in micro-reinforced concrete. 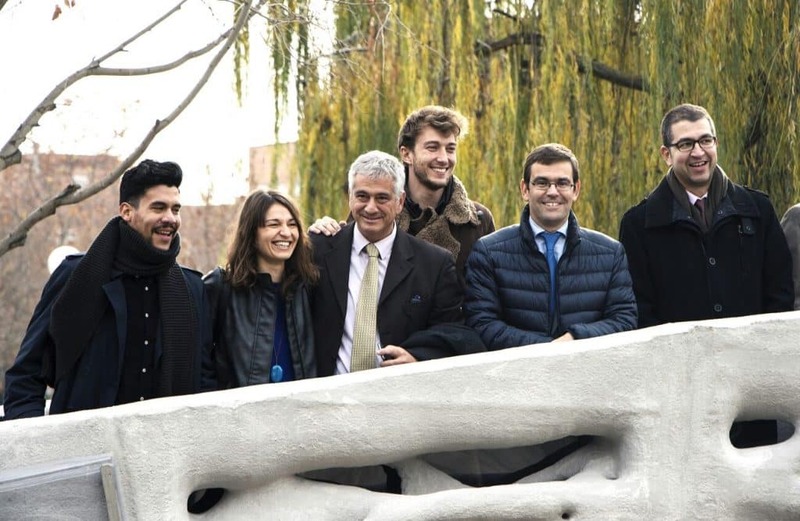 With the design of the bridge printed in 3D, the Institute for Advanced Architecture of Catalonia (IAAC) remains committed to innovation and becomes a global pioneer in the use of large-scale 3D printing. The 3D printed footbridge of Alcobendas represents a milestone for the construction sector at international level, since, to date, this technology has not been applied in the field of civil engineering. 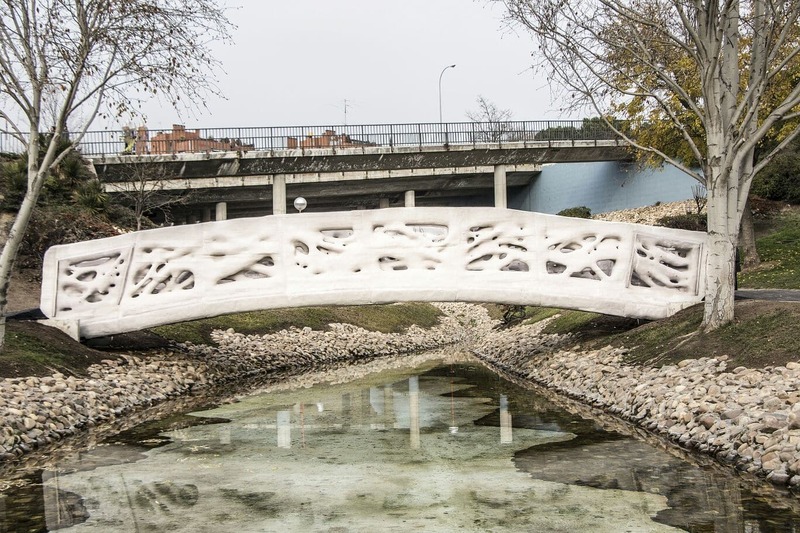 The 3D printed bridge, which reflects the complexities of nature’s forms, was developed through parametric design, which allows to optimize the distribution of materials and minimize the amount of waste by recycling the raw material during manufacture. 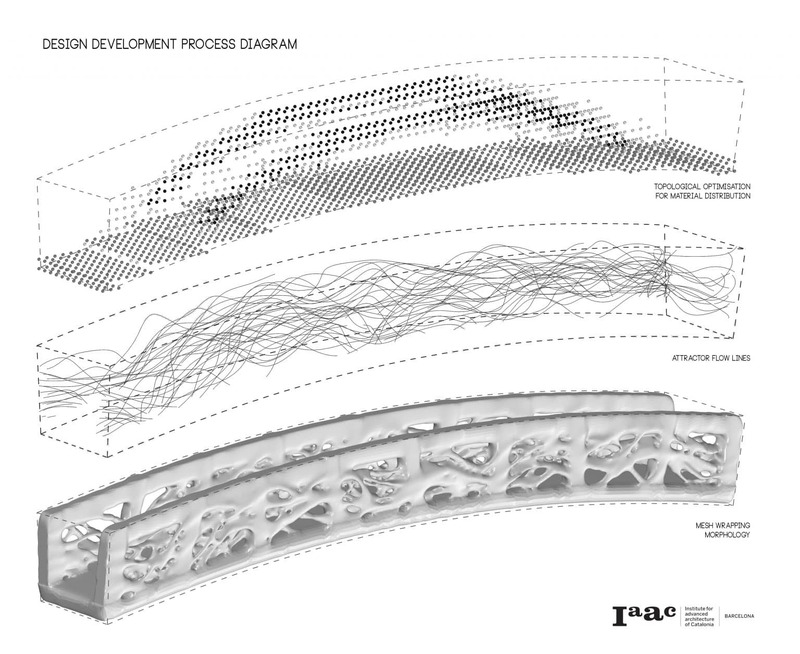 The computational design also allows to maximize the structural performance, being able to dispose the material only where it is needed, with total freedom of forms, maintaining the porosity thanks to the application of generative algorithms and challenging the traditional techniques of construction. 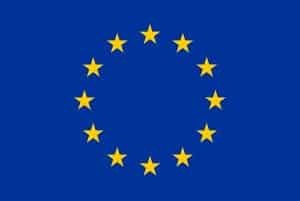 3D printing has been extensively researched from different disciplines, but it has focused especially on the small scale. It is for this reason that the Institute for Advanced Architecture of Catalonia (IAAC) is trying to bring this new manufacturing technique to the architectural scale for more than 15 years.